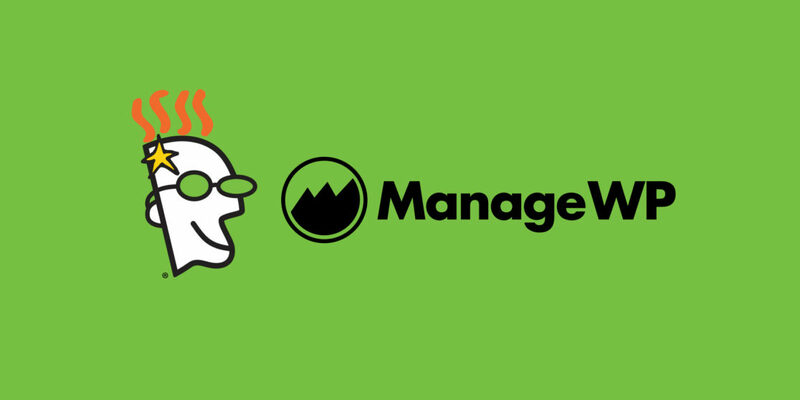 GoDaddy has acquired ManageWP, the popular website management service. The terms have not been officially disclosed, but it’s my understanding that the deal is structured based on a post-earn-out valuation that could change depending on performance. The deal closed on September 1st. GoDaddy declined to comment on the specifics of the financials. ManageWP was founded in 2011, officially launched in January 2012, and has more than a quarter million websites on their service. Their team of nearly 30 people is headquartered in Serbia, but is capable for remote operations, and the entire team will join GoDaddy. Up to this point, ManageWP was fully self-funded. The company was founded my Vladimir Prelovac, who is coincidentally moving to the US, and will now work from GoDaddy’s Sunnyvale office; the company CEO is Ivan Bjelajac. Speaking to Vladimir, he says the discussions with GoDaddy began several months ago, when they were seeking a potential partnership. The relationship grew from there and transitioned to potential acquisition talks. “We met with their team, and it really blew my mind; the product team, engineering, and leadership really have a fantastic vision.” They loved the thought of being able to put ManageWP — a product they strongly believe in — into the hands of millions of people. Vladimir says that Orion, their recent rebuild of the product, went very well, and they have been profitable since inception. Their 2015 revenue was more than $1 million, and they anticipated new revenue growth with the launch of Orion — prior to the acquisition closing. A complete redesign and rebuild of the product — which they’ve named Orion — was completed and launched on July 12th. The new product included an all new pricing scheme, in addition to the new interface. The new pricing is geared toward power users managing dozens or hundreds of websites, costs $150 per month for between 25 and 100 websites, and additional bundles of 100 sites are $150 each. People with fewer sites can pay $6 per site per month. The new pricing is confusing, as I covered in more depth in my post about the relaunch, but is cheaper than their previous plans unless a customer has between 5 and 50 websites, or more than 200 websites. However, the pricing may not be a significant factor under the management of GoDaddy. They very well may choose to make most features of ManageWP free for GoDaddy customers. GoDaddy will surely benefit from the technology ManageWP has spent so much time and energy crafting. What will be more interesting is to see specifically how they integrate it with their GoDaddy Pro program and WordPress hosting plans. The ManageWP SaaS as it currently exists will be a standalone offering, but GoDaddy will also integrate it into their Pro platform — an all-in-one dashboard for web developers — which is possible because of the way ManageWP was created, with its extensive backend API. Jeff King, GoDaddy’s Vice President of Hosting, told me, “ManageWP is incredibly well respected,” and that they do not want to mess with how strong of a brand it is, and will keep it as a standalone app that anyone can use. They would like to integrate some of the “fantastic” features ManageWP has developed, into, “something that is incredibly useful for [GoDaddy] Pros.” They also know that their customers have clients that work on other hosts, and they want to integrate the new features they are working on with many hosting platforms. They expect to start rolling out ManageWP features within the GoDaddy Pro dashboard in the next couple of months, and hope to have a more complete demo ready for WordCamp US in December. Current GoDaddy WordPress hosting plans range from $3.99 to $13.99 per month — both are very low prices within the industry, considering what they offer. GoDaddy hosting has had a bad reputation for a long time, but they have spent tens of millions of dollars on their managed infrastructure and tooling — not to mention efforts to revitalize their brand more generally. Reputable hosting analysis I’ve seen for the last couple of years consistently conclude that GoDaddy’s managed service is a good, “bang for your buck,” considering the very low prices. Speaking with various members of GoDaddy’s team, I know that their aims for the future are to build out tools for improved customer experiences, and they feel like they are in the best place they’ve ever been from a hardware and hosting stack technology standpoint. They are also putting the finishing touches on an entirely new onboarding experience for WordPress hosting customers who sign up with GoDaddy, to be able to cater websites configured for specific niches based on what the customer tells them they intend to do with the website. Depending on the answers from a new customer, they will pre-install plugins and themes to suit those needs, which could in the future co-align with their plugin partner program, but also includes other plugin and service partnerships, like the deal they have made with the page building plugin Beaver Builder. This acquisition will offer tremendous exposure for ManageWP, to the more than 14 million GoDaddy customers. WordPress is a huge focus area for GoDaddy, considering its dominance in the CMS landscape, and 25% marketshare of the web generally; the most common thing a new GoDaddy hosting customer will do is to install WordPress, so they have a particularly vested interest in trying to make the experience of running and managing WordPress websites a positive one. Update: ManageWP and GoDaddy have both made official announcements now. Of note in the ManageWP one, they do confirm that, “GoDaddy is looking to bolster their WordPress hosting with our features, like backups, staging, migration and more,” and some of those features will indeed make their way to the GoDaddy platform. Also, they say that 8% of ManageWP customers were on GoDaddy. This is huge! The merger/integration of Godaddy & ManageWP will be interesting to see. I don’t feel the rollout of ManageWP features in Godaddy or a December demo would be possible to see soon. 3 months for something like this seems like a short period. Yet their managed WordPress hosting package still doesn’t use PHP 5.6 or greater. I’m an affiliate of ManageWP. I wonder how this will effect the affiliate marketers. I moved away from GD years ago and hosting in the cloud at a better host. A lot of people I know really hate GoDaddy. I’m curious how they’ll react to this when they find out. But as far as selling goes, congrats to Vladimir! Really nice. I’m surprised to see this. I hope Vladamir has done very well from the acquisition. He is a nice person and deserves to do well. Whoow big news. Curious to see the future changes as a customer. I’m a GoDaddy Hosting reseller and I admit that they’ve had a bad reputation, I sincerely hope that this acquisition will bode well for their customers. Thanks for your post. My response was a bit too big to fit in a comment, so I ended up writing a 1500+ words post about it. 🔥 Dealing with GoDaddy ManageWP Acquisition & #WPDrama? I hope things go as planned! Congrats, both ManageWP and GoDaddy! Thanks for writing this, Brian and Ahmad. I read through the disappointed comments on AWP with my eyes wide open. I mean, I can get people trying to predict/guess what will be the affect of such an acquisition on ManageWP, but I find it strange that people are so emotional about it that they won’t even give it the slimmest chance of working out. Pessimism at its best. I wish both companies that the pessimists will be the ones to miss out on an even better ManageWP. This is a massive mark for the team! Congrats 100% to the ManageWP team. I’ve been hearing lots about Orion and this post has pricked my ears to do my own research on the revamp! Super stoked and thanks for the post! Now Godaddy just needs to simplify their hosting / domain management control panels and stop trying to constantly up-sell me. That would be great. I think they specifically mentioned, that’s not going to happen! I was once a GoDaddy hosting reseller and had nothing but complaints from my customers. In my opinion, GoDaddy has two things to fix. First, they need to up the technology/versions used for PHP and MySQL. Second, they need to improve their support. Waiting 30 minutes to talk with someone that ultimately can’t solve your issue is an extreme pain and burden on business owners. I’m a ManageWP customer and I’m extremely disappointed as it sounds like the incentive is going to be have your stuff hosted at GD. It doesn’t make good business sense for me to put my clients websites on overcrowded servers with outdated technology. I’ll be curious to see if their “integrations” will go for VPS too as shared hosting at GD is out of the question for me. I agree, I’m quite disappointed with this news, especially since I’ve had nothing but trouble with GD and their overcrowded servers. They even stole one of my domain names, refusing to release it to another domain company and making me pay twice for it! I had such high hopes for Orion and transitioned everything there last week. Now I’ll be moving somewhere else.. I have to admit it was a surprising move but I guess that will improve support from godaddy site as well and will power manageWP to expand it’s services. Wow! This is quite amazing i would say! Congrats ManageWP! Managewp is a great service for managing multiple websites, I imagine it’s another way for Godaddy to offer a complete service. A service that is self fulfilled. I.e godaddy doesn’t have to deal with many queries and problems, instead people can manage their own websites and learn how and what they have to do through Managewp. it is a good news. Godaddy can further empower them by this takeover. Well I love it. Converted my GoDaddy site to WordPress Sept 9.